Together Alone is an album of opposites, at times sounding firmly folky, other times slightly chillwave (such as with standout track “Made Up My Mind”), and a change in sound from the first half to the second. Things remain relatively acoustic in the beginning, but then transforms to an eerie, spacey, electronic stretch. The evolution goes from something sounding like Father John Misty to Thom Yorke. Comparing the somber, fingerpicking guitar in third track “Walks Like an Artist” to the pulsing electronic burbles in the 10th track “Together Alone” illustrates this development nicely. 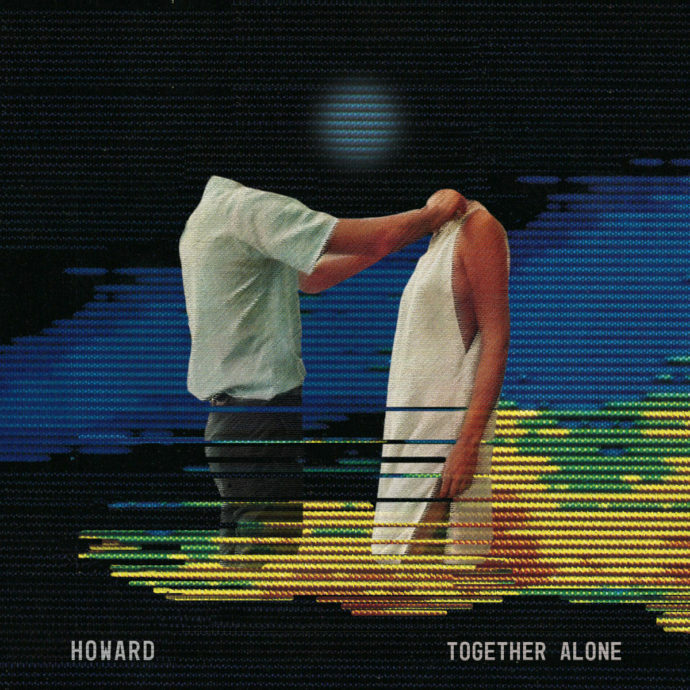 Together Alone is a compelling gallery of chamber pop and folktronica, establishing Howard as an artist aware of the effect of an album as an experience, rather than a collection of disparate tracks. What remains is a well-mixed, original record that shows the breadth of Howard’s musical ability. “Interlude” is a saxophone solo with a xylophone thrown in. “Your Honor” features catchy vocals and a fuzzy guitar line. The track “Act 1” has weird distorted vocals, like a record with a scratch, and a indiscernible woodwind instrument burbling in the background. The track “Soul Mourning” is the most experimental of the whole album. Vocalist Howard Feibusch sounds most similar to Thom Yorke on this track, with sparse ambient fuzziness and static underlying his crooning, unintelligible vocals. The final track “Brave Young Man” bring the album full circle, with a return to the quiet, finger picking guitar that characterized the earlier tracks, such as “Walks Like an Artist.” Feibusch vocals are clear here, an obvious departure from the distortion of the previous songs. It is a quiet, unassuming closer, belying the full evolution of the album from the start to the finish. Together Alone is rich with novel combinations that requires a full listen and zero skips.